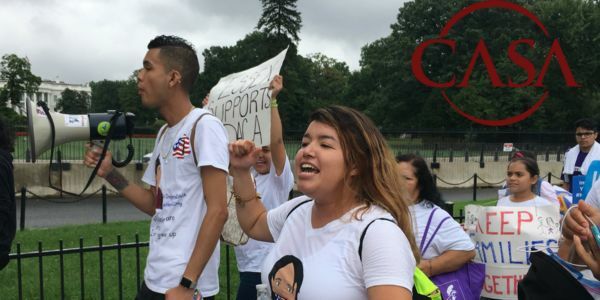 A few weeks ago, President Trump took away the work status of more than 800,000 young people who came to the U.S. as children by ending a program known as DACA (Deferred Action for Childhood Arrivals). We are asking Congress to secure a permanent solution for DREAMERS. Public support for Dreamers is strong, even among Trump supporters. DACA enjoys the support of employers, educators, community leaders, and elected officials from both parties_ 78% of American voters support giving Dreamers the chance to stay permanently in America, including 73% of Trump voters. Will you add your voice and tell President Trump and Congress YOU want a permanent solution for DREAMERS ? This solution includes permanent legal status for Dreamers, no money for the wall nor a militarized border, and an end to the deportation machine. The time for action is now. We need your support today!